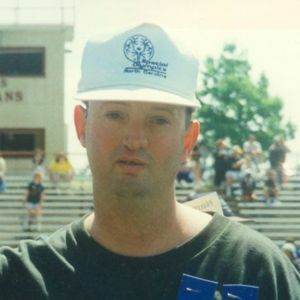 Orby Ray "Tony" Mayben, Jr.
Orby Ray "Tony" Mayben Jr. age 49 of Erwin, died Wednesday May 2, 2012 at Betsy Johnson Regional Hospital in Dunn. "Tony" attended Harnett Production Enterprises for almost 20 years and was an active participant in Harnett County Special Olympics. He was preceded in death by his father, Orby Ray Mayben, Sr..
A private family service will be held at a later date. Memorials to "Tony's" memory may be made to Harnett Production Enterprises, 200 Alexander Dr., P.O. Box 489, Lillington, NC 27546. Create An Online Memorial For Orby Ray "Tony" Mayben, Jr. The beautiful and interactive Eternal Tribute tells Orby's life story the way it deserves to be told in words, pictures and video. Tony's gentle spirit and loving heart will live on inside of you forever. He is among God's angels now. May you find comfort and peace in His everlasting embrace. my dear sweet brother was the epitome of love...without regard towards anything the rest of us look at in this world. our mother raised him so lovingly that all he ever did was share that love with all in his midst. harnett production enterprise clients are just the same...our brothers and sisters in Christ...thanks be to God for this love. may each of us find it within ourselves. i love you tony so much my dear brother. Tony brought such joy to everything he did. His passing leaves a void in the lives he touched, but our hearts are filled with gladness knowing he's in a better place. God Bless you Wanza. All is well with Tony now.